Although the Trim command has been defined for nearly a decade, for some reason I have never written a post to explain it. It’s time for that to change. Trim is something that was never required for HDDs, so it was a new command that was defined once SSDs became prevalent. The command is required because of one of those awkward encumbrances that NAND users must accommodate: Erase before write. NAND flash bits cannot be altered the same way as an HDD. 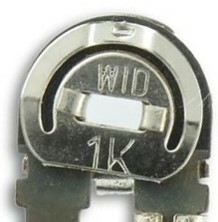 In an HDD a bit that’s currently set to a “1” can be re-written to a “0” and vice versa. Writing a bit either way takes the same amount of time. In NAND flash a 1 can be written to a zero, but the opposite is not the case. Instead, the entire block (4-16k bytes) must be erased at once, after which all bits are set to a 1. Once that has been done then zeros can be written into that block to store data. An erase is an excruciatingly slow operation, taking up to a half second to perform. Writes are faster, but they’re still slow. IBM has announced that it is developing Non-Volatile Memory Express (NVMe) solutions to provide significantly lower latency storage. NVMe is an interface protocol designed to replace the established SAS and SATA interfaces that are currently used for hard drives and SSDs. Coupled with the PCIe hardware backplane, NVMe uses parallelism and high queue depths to significantly reduce delays caused by data bottlenecks and move higher volumes of data within existing flash storage systems. IBM has set itself to the task of optimizing the entire storage hierarchy, from the applications software to flash storage hardware, and is re-tooling the end-to-end storage stack to support NVMe. The company recognized years ago that both hardware and software would need to be redesigned to satisfy the needs of ultra-low latency data processing. With the tagline: “Bringing intelligence to storage” start-up NGD Systems, formerly known as NexGen Data, has announced a 24 terabyte SSD that the company claims to be the highest-capacity PCIe/NVMe device available. The read-optimized Catalina SSD employs a lot of proprietary NGD technology: Variable rate LDPC error correction, unique DSP (digital signal processing) algorithms, and an “Elastic” flash transition layer (FTL), all embodied in an NGD-proprietary controller. This proprietary technology allows Catalina to offer enterprise performance and reliability while using TLC flash and less DRAM than other designs. NGD claims that the product is already shipping and is being qualified by major OEMs. Micron has announced a new line of Enterprise SSDs that it has named the 5100 family. The three members of the family are designated by different suffixes: 5100 ECO, 5100 PRO, and 5100 MAX, as listed in the table below. The three models support the same maximum read IOPS performance, but have a wide range of write IOPS figures, endurance (measured in DWPD = Drive Writes per Day), and maximum capacities. All of these SSDs are based on Micron’s 3-bit 3D NAND. Micron has been aggressively ramping its 3D NAND technology since it began shipments in earnest last June. 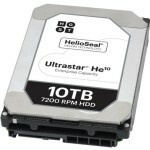 Is an HDD/SSD Price Crossover Coming Soon? 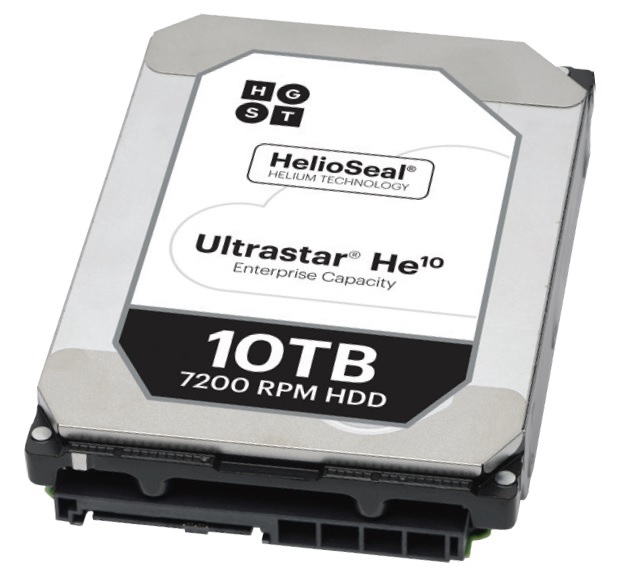 The SSD Guy was recently asked whether HDDs would continue, at least through 2019, to remain preferable to SSDs as cost-effective high-capacity storage. The answer was “Yes”. Longtime readers will note that I steadfastly maintain that HDD and SSD gigabyte prices are unlikely to cross for a very long time. Historically, a gigabyte of NAND flash has cost between ten to twenty times as much as a gigabyte of HDD. Let’s look at where Objective Analysis expects things to go by 2019. Our current projections call for NAND price per gigabyte to reach 4.4 cents in 2019. I would expect for HDD to still be 1/10th to 1/20th of that price. Most likely 1/10th, since we expect for NAND flash to be in a significant oversupply at that time and will be selling at cost. If HDD prices continue to hover around $50, then a 2019 HDD price of 0.44 to 0.22 cents per gigabyte (1/10th to 1/20th of the price of NAND flash) would imply an average HDD capacity of 11-23TB. 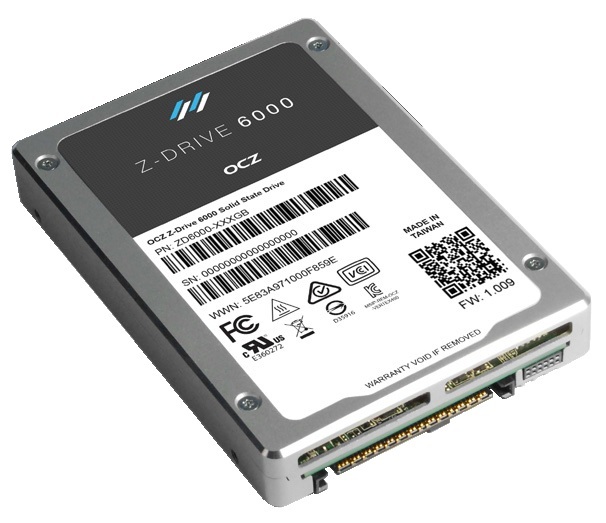 It’s really something to see a company recover from a big challenge, and signs of that happened this week with OCZ’s introduction of a new NVMe-based PCIe SSD they call the Z-Drive 6000 series. This replacement for the company’s Z-Drive 4000 series is a complete redesign with an obsession for performance. OCZ tells me that they moved from a 2-hop design to a 1-hop by using the PMC Princeton PCIe SSD controller, and have passed the University of New Hampshire Interoperability Labs’ compliance tests to NVMe 1.1B compliance. But how does it perform? Well the 1-hop design helps reduce latency (which is just starting to overshadow IOPS in users’ minds) and the latency of this SSD is significantly lower than competing NVMe SSDs: between 25-30μs, figures that OCZ tells me are very consistent, a big plus for enterprise applications. As for IOPS, the device can perform under a 70/30 Read/Write load at 330K. The 6000 series is provided in both standard MLC and eMLC for those who want the security of eMLC and are willing to sacrifice a little performance to sleep better at night. This product is a good fit for the market needs, and shows how devoted OCZ and its parent Toshiba are to providing high performance in the SSD marketplace. 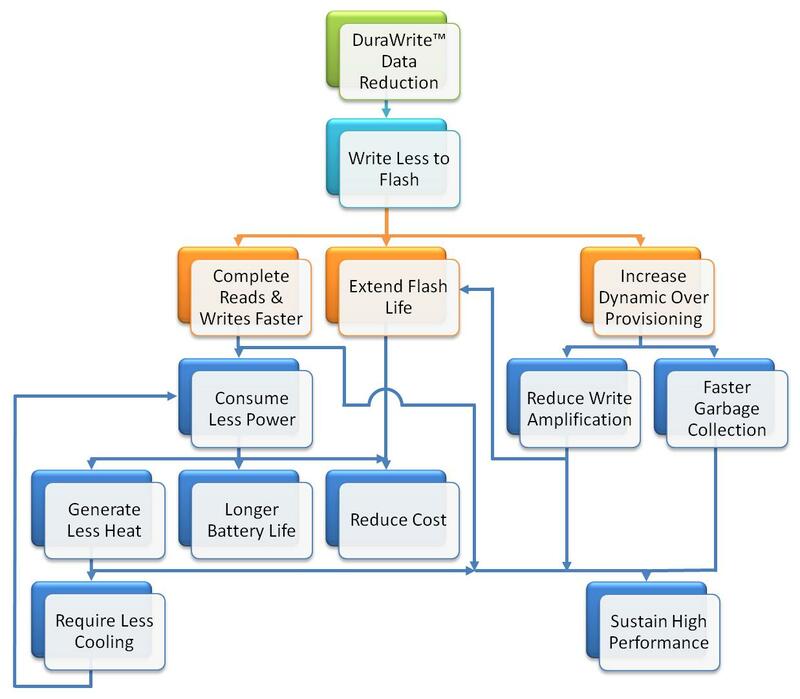 I have just added a new white paper onto the Objective Analysis website: Matching Flash to the Processor – Why Multithreading Needs Parallelized Flash. This document examines the evolution of today’s CPUs, whose clock frequencies have stopped increasing, but now exploit parallelism to scale performance. Multiple DRAM channels have also been added to performance computing to add parallelism to the memory channel. 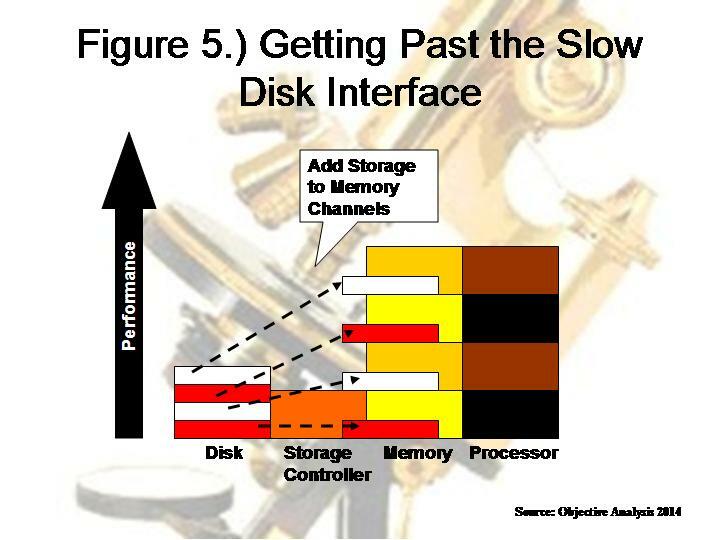 Storage hasn’t kept pace with this move to parallelism and that is limiting today’s systems. New NAND flash DIMMs recently introduced by Diablo, SanDisk, and IBM, provide a reasonable approach to adding parallel flash to a system on the its fastest bus – the memory channel. This white paper shows that storage can be scaled to match the processor’s growing performance by adding flash DIMMs to each of the many DRAM buses in a performance server. The white paper is downloadable for free from the Objective Analysis home page. Have a look. LSI’s SandForce has just rolled out its SF3700 family of four SSD controllers aimed at the Entry Client, Mainstream Client, Value Enterprise, and Enterprise Storage marketplaces. Performance is impressive, with worst-case random PCIe IOPS at 150K read/81K write and 94K/46K for the SATA interface. The SF3700 family builds on the division’s first two product families by adding a choice of PCIe or SATA interfaces, LDPC error correction, and a boosted set of flash management features. The SSD Guy will explore this last point after highlighting the other two.